Even when you arrive slightly late to the party, you sometimes still get to have your cake and eat it too. In terms of having his cake, David Visentin was only eight years old when he started playing the violin. Various relatives were playing fiddle at the time; one was also a jazz violinist; and his own brother, who started on the piano, later switched to violin as well. He was well on his way. Still, even when you have made all the right choices, the personal trajectory of a career musician can begin to pall, as it did for Visentin, 16 years into a comfortable and satisfying association with the Winnipeg Symphony Orchestra. After performing onstage at the plush, 2,300-seat Centennial Concert Hall for the umpteenth time, Visentin says, “We would go out into minus 30–40 degree weather — this was average for us — but the tragedy of that weather is that there are people who live outside. There is still a very large urban Aboriginal population and, many times on these evenings, we would pass people sniffing glue — because that was the big epidemic happening at the time in downtown Winnipeg. Then came a series of events in 2009 that was to change his life forever. It’s what Visentin describes as “an amazing Celebration of Music Week, where Venezuela essentially came to Toronto and took it over.” The prestigious Glenn Gould prize, which “promotes the vital connection between artistic excellence and the transformation of lives,” was being awarded to Dr. Jose Antonio Abreu, the founder of El Sistema in Venezuela. To celebrate the occasion, Gustavo Dudamel, often regarded as the poster child for El Sistema and now the director of the Los Angeles Philharmonic, led the Simón Bolívar Orchestra of Venezuela in their Canadian debut. 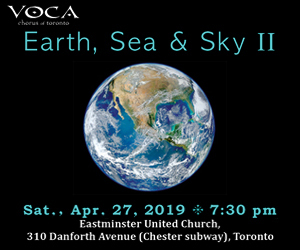 Among the many events being held were 14 intimate concerts at high schools and community youth centres featuring Venezuelan chamber ensembles, an international music symposium and a climactic concert for 14,000 students at the Rogers Centre. As a member of the board of the Glenn Gould Foundation, Visentin was in the front row of these events and was so blown away by the calibre of the young Venezuelan musicians that he spoke to Abreu and offered his services to El Sistema. He was invited as a masterclass guest artist for two weeks, to teach at various centres throughout Venezuela. Now the executive and artistic director of Sistema Toronto, Visentin has found in this remarkable program a way of bridging the stage and the sidewalk that he has long sought. Begun as a social rescue program in 1975 among the most poverty-stricken and violent neighbourhoods in Venezuela, El Sistema has transformed the lives of more than a million children in Venezuela alone — and the program is rapidly gaining traction in many parts of the world. Abreu refers to Mother Teresa as having been the one who realized that the most tragic aspect of poverty is not the lack of bread or a roof overhead, but the feeling of insignificance that poverty breeds, the lack of identity and self-worth that all too often spirals into violence. In contrast, it is the redemptive role of music that leads to the child’s becoming a role model for the family and community, by inspiring in the child a sense of responsibility, perseverance and punctuality and eventually inspiring new hopes and dreams. Abreu refers to the world crisis invoked by the historian Arnold Toynbee — not the economic crisis which everyone seems to talk about, but a spiritual crisis for which religion offers no solution. It is now only art in the form of music, Abreu says, that can synthesize the wisdom of the ages and provide creative space for culture in the community, not just as a luxury for the elites, but as something in which all can truly participate. Visentin agrees: “I believe that poverty has many faces. While Toronto is not Caracas and Canada is not Venezuela, we don’t have the extremes of poverty and violence that are expressed in Venezuela, but we do have poverty and we do have violence and that’s where there’s no difference between Canada and Venezuela. “Dr Abreu is passionately opposed to the waste of time — ‘the perverse use of leisure time’ is what he calls it. Time-wasting, for Abreu, could mean being forced to sell T-shirts eight hours a day in Caracas to make money for your family or it could be wasting time in front of the computer when you could be putting it to productive use or it could be gang membership. Visentin describes this as a shift in awareness: “When you are looking at it through a different lens, it changes everything that you deliver — your knowledge and your experience. Because I can teach a violin lesson, I can coach an ensemble, I can conduct an orchestra, but when you’re imparting qualities of humanity — citizenship — the first thing you have to do is turn the mirror on yourself and look at what it is you really have to give. So that again levels the playing field, because we’re all trying to be better people, better family members, community members. Now into its second year, Sistema Toronto offers its after-school program to 80 young string players from Grades 1–6, who come in for two and a half hours a day, four days a week, 38 weeks a year. Explains Visentin, “We ask only three things: to see themselves as a team, to always help each other and to always do your best.” It’s the same dictum that applies to their teachers, all accomplished musicians, who are selected as much for their passion for their craft as for their ability to teach. On any of these days, as three o’clock approaches, music stands are wheeled out, chairs whisked into place and various string instruments assiduously tuned in anticipation of the children who will play them. “We’re often asked: what’s the curriculum, what’s the pedagogy, where are the texbooks, where’s the handbook?” says Visentin. “There’s no one-size-fits-all approach. The beauty is that it’s created in each community.” At Parkdale Junior and Senior Public School, for example, in addition to classical works, they also learn Tibetan folk songs and stories that reflect the Hungarian Roma community, not to mention The Great Canadian Story, a composition by one of their teachers, Ronald Royer. Visentin sees this as an opportunity for the children to express themselves not just to their own community but to the other communities where they are inevitably invited to perform, forming a network of communal music making. For its own part, Sistema Toronto is already looking to extend its program beyond Parkdale Junior and Senior Public School. Last year, Peter Oundjian, director of the Toronto Symphony Orchestra, was appointed the first honourary music ambassador for Sistema Toronto’s Playing to Potential music education program, with its focus on rehearsing and performing as a member of an orchestra. At the same time, when Leonard Cohen was awarded the Glenn Gould Prize for lifetime achievement, he chose Sistema Toronto to receive the $15,000 City of Toronto Protégé Prize. Just the other day, a few University of Toronto students adopted Sistema Toronto for its Philanthropy and Youth project, which was up for a $5,000 prize for the best presentation. There was Anton Kuerti, with his nimbus of unruly hair, in the auditorium of Walter Hall on a balmy Sunday afternoon looking for all the world like a latter-day Einstein. Except this was no theoretical physicist nor amateur musician but a man who has been called one of the truly great pianists of this century, a pianist who has been lionized in practically every one of the almost 40 countries he has played and whose name is very nearly synonymous with Beethoven’s great “Emperor” Concerto. Surrounded by the principal players of the Toronto Symphony Orchestra as they deftly performed excerpts from Schubert’s Octet and Spohr’s Nonet, he surveyed the forest of hands that shot up in answer to his gently probing questions and fielded a volley of eager responses from young children and their families. It was quite an introduction to the first concert in Mooredale Concerts’ Music & Truffles series, one specifically designed to acquaint first-timers with classical music. It is easy to forget, in taking a measure of the man — when that man is Anton Kuerti — that he is not simply a concert pianist par excellence. Impresario, talent scout, chief copywriter, principal website and ticketing strategist, entrepreneur: these are just some of the hats he has added to his repertoire after assuming the mantle of artistic director of Mooredale Concerts five years ago following the death of his wife, the cellist Kristine Bogyo. By the second year, the ten children Bogyo started with when she decided to grow her own youth orchestra in the family’s living room, had trebled, prompting a move to Mooredale House. “Kristine had the knack for making young people love music and understand it,” Kuerti says, citing the letters parents and the young musicians themselves continue to write, even after they go on to professional careers. In the intervening years, the single orchestra has blossomed into three. Clare Carberry, a fellow cellist, joined Bogyo 21 years ago and now conducts the intermediate orchestra. Bill Rowson conducts both the junior and senior orchestras while Kuerti himself leads the senior orchestra’s summer concert. Mooredale Concerts continues to provide opportunities and bursaries for those who need them. Thus was born the Concert Series as an opportunity to showcase home-grown talent, providing a platform for collaboration with artists such as Isabel Bayrakdarian and Measha Brueggergosman long before they became well known. Kuerti continues this fine tradition by inviting the winners of the Young Canadian Musicians Award, on which jury he sits, to perform in concert. Whereas Bogyo concentrated on home turf with special attention to the Canadian landscape, Kuerti works from a broader palette, deepening the variety and range of works presented. When he invited nine of the Toronto Symphony Orchestra’s first chair players to open the current season in what would turn out to be a sold-out concert, they already had their work cut out for them. It was Kuerti who suggested that they play Schubert and Spohr. “He’s a music scholar many times over,” says Christina Cavanagh, Mooredale Concerts’ managing director. Kuerti views his task as not merely one of programming an audience favourite such as Schubert, but giving an overlooked master like Spohr his due. “He was an incredible violinist himself and there is a lot of virtuoso writing in the Nonet,” Kuerti points out. Only two words guide Kuerti’s programming: “Great music.” As an artistic director he is intent on “presenting something people will buy and love: some Canadian, so far as it’s really good, but also 20th and 21st century music.” And as with any impresario worth his salt, he also keeps a canny eye on breaking new ground. A case in point: booking the Dali String Quartet for a concert next February. This young group, schooled in Venezuela’s El Sistema, focuses on Latin American music, in particular the work of Brazilian composer Heitor Villa-Lobos, but plays the traditional string quartet repertoire as well. Kuerti is just as enthusiastic about Pierrot Moonstruck, where poetry and mime will, for the first time, be married to piano music and the soprano voice in a program that evokes turn of the century Paris using music by Chopin, Fauré, Debussy and Ravel. On December 4 Mooredale Concerts subscribers will be ushered into Koerner Hall to hear Kuerti play yet another concerto, Brahms’ Second, as part of an a program that also includes the composer’s Symphony No.4,when he reunites with Marco Parisotto and the Ontario Philharmonic. It will be another tribute to his stewardship of what began a quarter of a century ago as a mother’s quest and one woman’s act of creative imagination: the opening salvo in a continuing celebration of great music. A night at the opera is often burnished into memory as somehow grander, more glamorous and opulent than any other night. Soaring melodies, impressive sets, ingenious costumes: the sheer spectacle tends to obscure the hundreds of hours of beavering and, more accurately, the years of preparation that made it all possible. Everyone conspires to make the magic happen. So in that moment when everything falls into place, it all somehow seems inevitable and we rarely, while caught up in the moment, stop to question it: to wonder about the science behind the magic, to speculate what might have happened instead, to ask “what if?” These are questions for the lobby after the curtain has fallen.